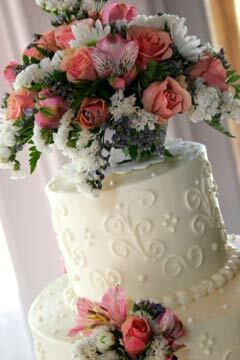 Wedding cakes with fresh flowers. 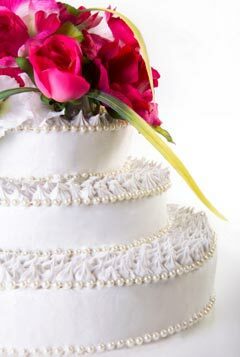 When considering wedding cake flowers it's important to remember that the flowers are there to garnish your wedding cake. 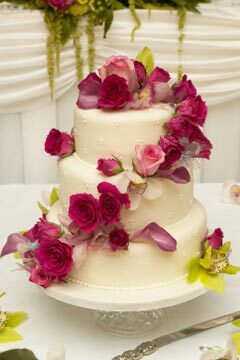 That isn't to say that floral wedding cakes can't have a lot of flowers but it has to be tasteful and adhere to the your colour scheme. 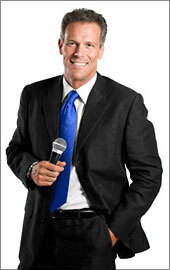 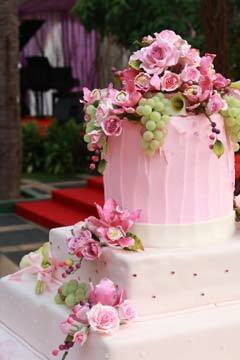 Good composition also plays a very important role. 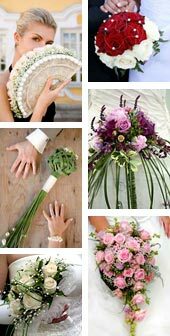 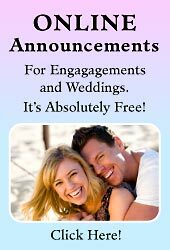 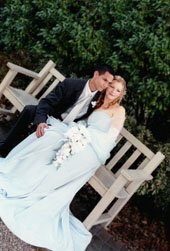 As a general rule make sure to use at least one predominant flower that is in the bridal bouquet. 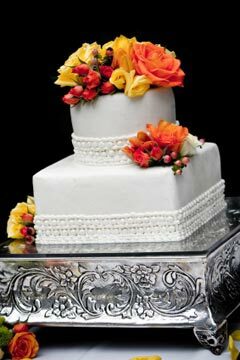 Cakes with fresh flowers are my personal favourites, not just for their beauty but also for their meaning and what flowers represent. 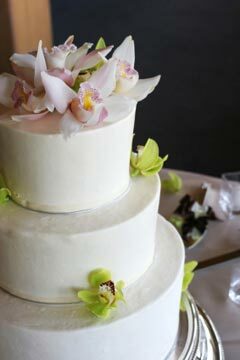 Flower meanings can certainly add a special dimension to your floral wedding cake, especially if you choose a flower your fiance gave you while he was courting. 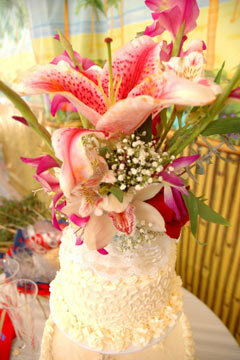 When my husband and I first started dating, he gave me tulips, so I used them as part of my bouquet. 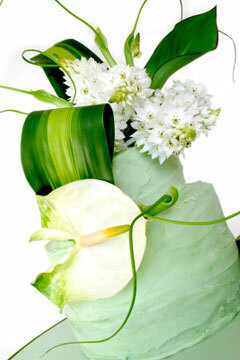 Tulips still to this day are one of my favourite flowers, I always think of him. 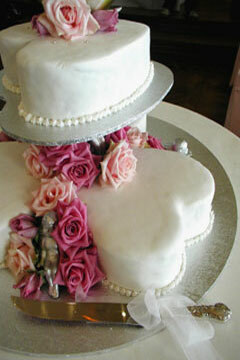 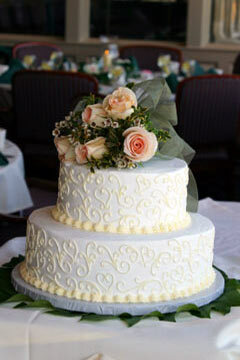 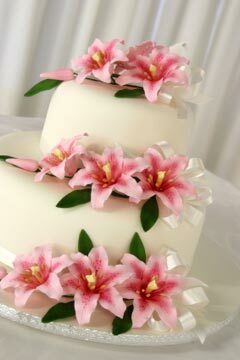 There is no such thing as the perfect wedding cake flower, have a look at the pictures of wedding cakes below. 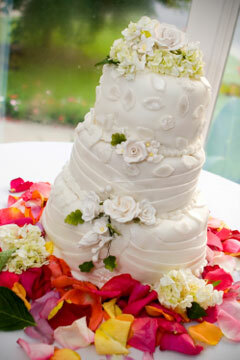 Some have the most gorgeous floral cake toppers. 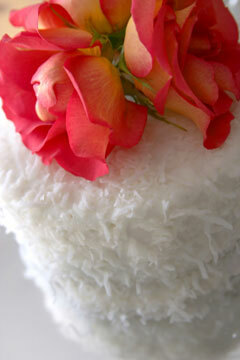 You'll soon discover that you can not discriminate from one flower to another. 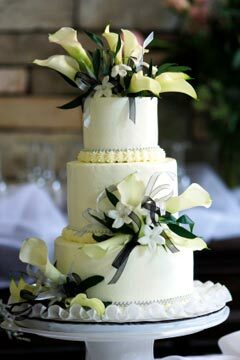 Wedding cakes with fresh flowers are such a beauteous sight, a very close second to the glamorous bride and her bridal bouquet. 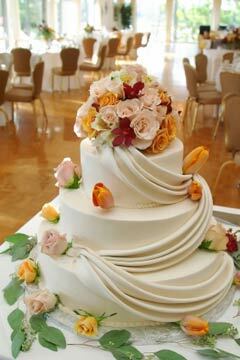 Designer wedding cake, made with fondant and decorated with fresh orange, pink and red flowers. 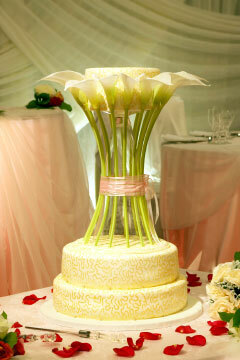 Calla lilly wedding cakes. 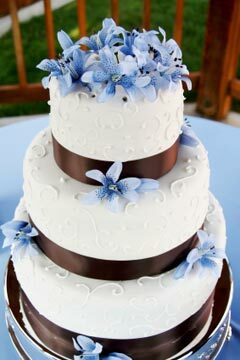 Small, simple but unique in design. 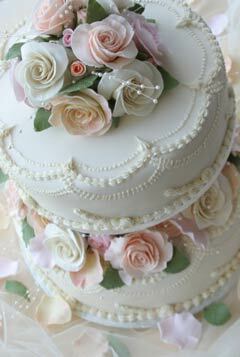 This lovely wedding cake is definately an eyecatcher. 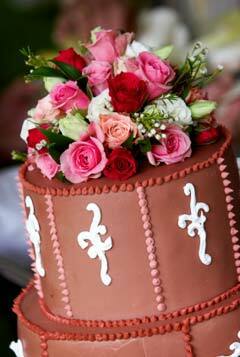 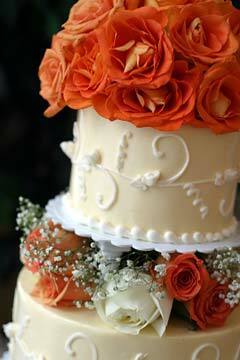 Wedding cake decorating ideas with vibrant fresh flowers speak for themselves, they are so captivating. 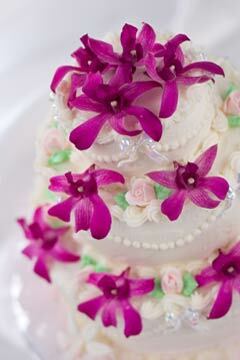 A tropical flower wedding cake is perfect for summer, a beach wedding theme or tropical wedding theme. 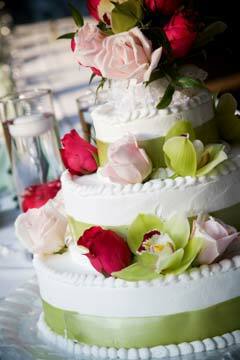 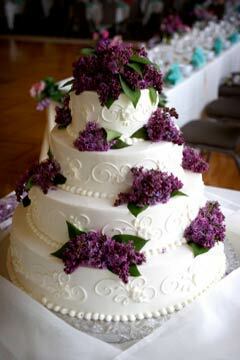 Have you thought to add birth flower meanings to your wedding cake? 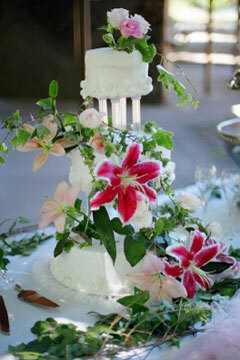 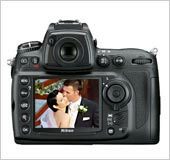 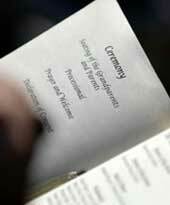 A creative way to add personal expression and significance to your wedding day.